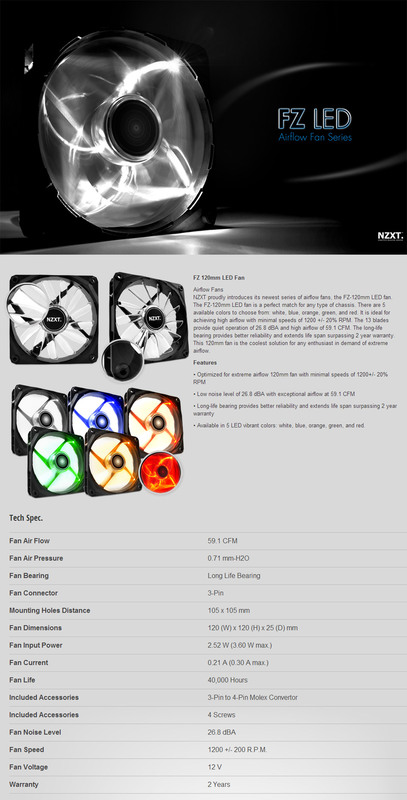 NZXT proudly introduces its newest series of airflow fans, the FZ-120mm LED fan. 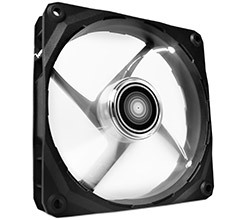 The FZ-120mm LED fan is a perfect match for any type of chassis. It can push a serious 59.1CFM whilst producing 26.8dBA at 1200RPM and is backed by a 2 year NZXT warranty.